Que tal a todos. Hoy les quiero presentar la segunda entrevista EXCLUSIVA de Blog Reymidas a un analista de reconocimiento internacional de los metales preciosos. La primera fue la realizada a Ted Butler, de manera pionera en el habla hispana por Blog Reymidas para un medio latinoamericano.Esto fue en julio de 2010. 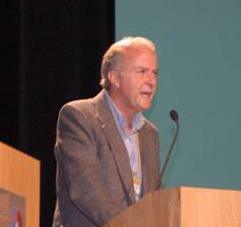 Ted Butler fue el primer trader en el mundo en exponer la manipulación del metal plata. Y Blog Reymidas fue el primer medio hispano en entrevistarlo. Este analista, doctorado en Estadística, ha estado exponiendo la actualidad de los metales preciosos, las incoherencias del sistema financiero internacional y un panorama global muy completo combinado con su rica visión técnica y geopolítica de los mercados. Radicado en Costa Rica, cuenta con años de trayectoria como analista de metales preciosos y sus artículos gozan de muchísima popularidad a nivel mundial. Por razones de múltiples proyectos, este editor no ha tenido tiempo de traducirla al español. Pero será publicada al español en breve ( este jueves por la noche). * Manipulación internacional del oro. Panorama internacional del dólar y de los mercados. * Posibles fracturas en el mercado de oro como señal temprana del fin de la manipulación. *El fraude en el mercado del oro. Estados Unidos y su economía. Dejamos en inglés la entrevista al final de esta editorial. Hoy recibe nuevamente información exclusiva, totalmente gratis. NUEVAMENTE PIONERO EN EL HABLA HISPANA. Siga los mercados, Siga siempre Blog Reymidas! 1) Jim. Thanks for allowing me to make you this interview. I would like to start with some details about your career. How did a PhD in Statistics with solid experience in computer industry and retail forecasting lead you to financial markets and precious metals analysis? The marketing research experience with the old Digital Equipment Corp from 1984 to 1993 was excellent experience in analyzing markets generally. The methods were very quantitative, but the strategic thinking was essential in a very fast moving industry with direct and hidden assaults, and significant multi-lateral competition. Consider the arrival of UNIX, the server computing platform, modular software, and more. The years from 1996 to 2000 at Staples doing sales analysis and forecasting was also highly relevant in the office superstore market. I was for example in charge of seasonal adjustments, which enables me to detect statistical fraud easily by the USGovt in most reports. In university, three courses were completed in Economics, enough for a solid basis. My hobby for years was to read the Wall Street Journal and Barrons, which served as an informal incomplete graduate school training. They often say that a side benefit of earning a Doctorate degree is the demonstrated ability to learn a new field if sufficiently related. My bio states boldly that I am not encumbered by the limitations of Economics credentials. By that is meant, my ability to comprehend Economics is not ruined by the pathetic distortions from bad training at US universities in the Economics field. Few are aware that 30% to 35% of all faculty chair posts in US universities are funded by the US Federal Reserve, which guarantees heretical theory acceptance. I stopped course work at Money & Banking, which I perceived in graphic displays as concealed bond counterfeit and money laundering. 2) You run a very popular newsletter: The Hat Trick Letter on the GoldenJackass.com website. How is it going with the client base? The Hat Trick Letter began in May 2004. It reached N=1000 soon after my arrival in Costa Rica in early 2007 in a gradual rise. By January 2010 the client base peaked at N=2650, after a tremendous rise from N=1400 in summer 2008 to N=2400 in summer 2009 following the financial collapse (Lehman, AIG, Fannie Mae) that my work fully anticipated, forecasted, and detailed. My work missed much of the AIG element, but Lehman and Fannie were given coverage with full frequent advanced warning. The extreme economic decay in the Western world, combined with the financial corrosion of paper assets, has deeply affected the many major economies from which the client base comes. Over the next two years, the client base slid down to N=2300, which was still strong. Since early in 2012, the client base has risen past N=2400. Perhaps due to realization that my work has been largely correct in the important big picture forecasts. Perhaps due to appreciation of a few outstanding connected sources, each of whom approached me in response to solid analysis and forecasts. Perhaps due to several competitor newsletters going out of business. Too many other newsletters focused too much on gold mining stocks. But the Hat Trick Letter focuses on reasons to invest in gold generally. My call in early 2008 to exit mining stocks turned out to be solidly correct. I prefer gold & silver bars and coins, in particular silver. The gains in the silver price will outpace those of gold by 3-fold. 3) How has your newsletter changed over the course of the last 8 years since its launch? In 2007, the newsletter began a split into two monthly reports, the Macro Economic Report and the Gold & Currency Report. In October 2008, a new Crisis Coverage Report was offered. It was discontinued in October 2010, after the murder of oil expert Matt Simmons by the Halliburton security hit squad. He revealed significant damaging stories about Halliburton’s role in sabotage of the Gulf of Mexico that produced the worst ecological disaster event in human history. The Macro Economic Report was changed in title and emphasis in 2010 to the Money War Report, since most mega-forecasts related to systemic failure had occurred. Refer to the insolvent ruin of the US big banks, the insolvent ruin of the US housing market, and the insolvent ruin of the USGovt finances. No need to continue to forecast on the USEconomy and its wreckage, after the ruin of the three main systemic pillars. So each month is produced a Money War Report that focuses on the competing currency wars, the bond monetization without end, the slow collapse of the sovereign bond market, the various props to keep the system going (even if crippled). Also each month is continued the Gold & Currency Report that focuses on the USDollar and the gold market, both as counter-weight to the debased currencies and as pursued asset to hedge against inflation and the actual ruin of money. 4) You often cover the extensive Gold market manipulation. Can you describe the big macro picture and its dynamics as it pertains to the gold market manipulation? The mortal enemies to the gold market are desperately hanging on. Without extreme derivative usage to prop the USTreasury Bonds, and without extreme usage of naked shorting of futures contracts, the gold price would be over $4000 to $5000 per ounce right here right now. My forecast has been for an important divergence between the physical gold price and the paper futures price discovery that is full of deep fraud. The MFGlobal theft was a seminal event, whereby investors seeking delivery of silver had their accounts stolen. Instead of receiving delivery of silver, the silver bars went into JPMorgan inventory in almost exactly equal quantity. The systems in support of the USTBonds are collapsing, namely the Interest Rate Swap. The paper futures market is an amazing Energizer Bunny, running on nothing but fumes of arrogance. The COMEX and LBMA will eventually go empty in inventory, a day to celebrate. Remember that no limits are placed on bond fraud, naked shorting, or permitted thefts. However, there are limits to public tolerance of thefts, especially when they involve private accounts. The physical gold price will soon rise much higher than the futures paper gold price, at which time it will no longer be reported. A market without inventory is a laughing stock, not a market at all. 5) Where do you expect the first major fractures to occur within the Gold market and its many extensions? A significant event occurred in November 2011 with the MFGlobal thefts. It prompted a powerful response by Asian entities. They are draining the New York and London banks of their gold bullion. It is an all-out attack that has yielded 5000 metric tons (five thousand) from Western banks to Eastern banks, mostly in China. I believe the MFGlobal theft and Chinese drainage of Western bank gold is directly related. Powerful wealthy entities are seeking the return of their gold before it is stolen, tied to collateral lines before ruin, and more. 6) What are the most important factors behind the Quantitative Easing by the Federal Reserve? What is their objective in reality? The objective hidden by the USFed and USDept Treasury is to conceal the fact that no more broad demand exists for the USTreasury Bond at a time when the annual deficit to fund in the bond market for the crippled USGovt is over $1.3 trillion. No demand, gargantuan supply, the prescription for a 10% bond yield or higher, not a yield under 2.0%. A major game is underway to hide the wreckage of the USGovt debt market, which is no better than Spain or Italy, even Greece. The US sovereign bond problem is 100 times worse. So the solution has been hyper monetary inflation, promises of continuing bond purchases forever, precisely as the Hat Trick Letter forecasted in summer 2009. It has expanded to include the mortgage bond market, which is intended to conceal the profound bond fraud there also, which prevents a housing market recovery. There is no exit strategy. The objective is to prevent a global bond market collapse that would cause a global currency market collapse, which would result in the collapse of the global banking system. Regard the monetary policy as bond monetization in unlimited manner forever. 7) Does it mean the USA is on the same Weimar road that the old Germany Reich traveled on? Exactly. The language is English, not German. The props with derivatives such as the Interest Rate Swap are heavily relied upon, which did not exist in the old Germany. Also, the other major central banks did not work in unison, like they do now. See the Euro Central Bank, England, and Japan, even Switzerland. Furthermore, this Weimar effect is global, not confined just to Germany as in the past event. So the wrecked economies and banking systems will be global. 8) What other similarities do you see between the United States and the Third Reich that fell? The USGovt is run by Nazis in disguise. The Bush Family is nazi, with grandfather Prescott an avowed nazi who attempted to overthrow President Roosevelt. The Nazis began to control the power levers after the 911 events of September 2001. It was a well disguised coup d’etat event, a bloody coup by the US Intelligence agencies, the Wall Street bankers, a wing of the USMilitary, and a key small ally on the Southern Mediterranean Sea that looks northwest to Italy. The US Press networks are subservient stooges. The world will be very fortunate to avoid a global war, just like what happened after the Weimar German destruction spread in its effect across Europe in the 1930 decade. A closer look shows most of the Nazi Playbook methods were used on the World Trade Tower attacks on 911. My life was threatened for revealing the easy comparison with nazi methods used in the past, marked by false flags and broad deceptions. 9) Can QE3 be successful? What are the risks? What is the timeframe for benefits? The QE was not successful. Nor was QE2 successful. In no way will QE3 be successful. But the central bankers have no choice. The risks are to raise the cost structure worldwide, for industry (like energy and materials) and households (like food). The risk is to continue the ruin of banking systems, and to push the USGovt into a debt default. The bond monetization tool can never be kept in place indefinitely, since it is highly destructive. Only competent analysts realize this fact. 10) Would you regard the central bank franchise system a failure? Can it recover? Yes, clearly a failure. Their solutions are for more debt and a better quality of bond to repay older toxic bonds. Debt cannot solve debt problems. The clowns running the central banks are busily producing more elaborate bonds with more seniority in subordination. The current wreckage of Spanish banks is a clear testimony to the non-solution by the Draghi Long-Term Financial Operation bonds should alert observers to the absence of solution. Draghi put the new super-bonds into circulation in late 2011, but with zero positive effect. He is revered anyway, but the public is full of morons. His new Open Market Transactions solution is equally stupid, vacant, and will accomplish nothing. 11) Recently you have written that the Cartel has raided Allocated Gold accounts. How can these schemes keep going according to your view? They will continue to raid the Allocated Gold accounts until the owners demand the redemption of the bullion bars. The process is being tested in two places right now. In London, a massive drain has occurred by Eastern entities. I believe the owners realize their gold is at risk of theft or collateralized usage. In Switzerland, some major class action lawsuits are in progress in the multiple $billions. They are kept quiet, my belief since part of non-disclosure during the lawsuits. The Swiss banks have some very strange laws, the details of which I do not wish to discuss. 12) What more can be said on the hidden mechanics of the Allocated Gold? My source has told that in London, the margin calls are being enforced by powerful people. They are demanding that physical gold bars are handed over to relieve the margin calls. A detective (like me) has concluded that the leveraged bond and currency positions were initially made with improper illegal usage of Allocated Gold accounts. Now the London bankers are caught in a squeeze. Margin calls always are of the same type as initially set up in contract form. 13) What major events are near for coming next to the Gold market? Very hard to tell. The enemies of the Western bankers make a long growing list. I believe some events will occur soon in the gold market where metal deliveries will go into default. The JPMorgan types will not be able to steal any more accounts soon, since their opponents are on alert as a result of past thefts. So look for a delivery default event or string of events. The bankers will attempt to conceal the default. They must tap the Bank of England and the Bank For International Settlements in Switzerland for the gold, or else face a default that will cause great embarrassment and tremendous publicity. Be on the lookout for a strange event, where the US Federal Reserve will approach a point where they wish to shut down. They face greater ruin each year, the buyer of last resort to take more and more toxic scheiss (mierda) into possession. 14) What other risks should gold investors consider when investing in gold and silver? Risks of having your gold stolen by your government or by your own bankers. Very few places in this world are safe to keep your gold. Surely not the United States or Western Europe or Switzerland. I do not believe Singapore is as safe as claimed. Hong Kong and Dubai are safe locations, but the entire Persian Gulf area has turned unstable. Look for new laws for citizens to turn in their gold for low redemption prices. Only idiots will comply, as vast disobedience could result. That might be why the USGovt might not try to confiscate. It would ignite a civil disturbance of national proportions. 15) Do you believe that gold market manipulation is about a Strong Dollar Policy backed by the US government or is it only about business for big banks in Wall Street? The Strong Dollar Policy enabled the United States to pursue its suicidal path of a dominant financial sector. It opened the doors for tremendous historically unprecedented bond fraud. The policy required the suppression of the gold market and even the drainage of the entire Fort Knox supply of USGovt gold. Never should a finance sector dominate. It is a tool for capital formation, a servant to the business sector, not its master. Instead, in the US the policy became a prescription for disaster. Imagine an economy dependent upon rising home prices in a bubble. What insanity. What an incredibly easy forecast call by the Jackass for a housing market wreck and near permanent collapse. The ongoing housing market is a direct consequence of the Strong Dollar Policy that smothered the gold market. 16) What do you think about the fake gold case in New York City. Is it a global phenomenon? What are you advising to your readers? I suspect the US Intelligence agencies are the actual source. They have begun to release fake gold. When they stole the Fort Knox, my source clearly tells the story that much of it was replaced with fake bars before distribution. The motive is to tarnish legitimate demand and slow it down. It will not succeed. They will only cause more careful certification, and responsible contracts for replacement if the bars of whatever size are proven fake. Look for stronger certification techniques, which might cost the buyer extra. 17) What more can be said about the fake gold bars and how it relates to the missing 8000 tons of gold bullion no longer located in Fort Knox? The distribution routes for the stolen and counterfeited (fake) bars is the same as for the US Intelligence agency narcotics. The paths go through Arkansas and Panama, the home of Clinton and the site of huge presence by the CIA. 18) One of the most interesting things about your newsletters is your access to insider information. Could you tell us about your sources and their background? What are they telling you about what is going to happen for the markets and precious metals? The most important source is a German man who has worked in the gold industry for 30 years. He has vast contacts. He has very wealthy clients on several continents, including the Chinese Sovereign Wealth Funds, and numerous Arab royals. He has some important Swiss banker enemies, which in my book is a stamp of approval for legitimacy and honesty. He is fluent in several languages. He first approached me in early 2008. We met in 2009 at a conference. He is a trusted friend, and a strong arm to hold an umbrella. 19) How much do your sources tell you, which you are not permitted to divulge? Every several months, something is shared that is juicy which I must sit on for a few months. He is clear with instructions. At one time the Panama narcotic routes for the fake gold bars was a secret to be kept. But no more. One recent shared item is the nature of the new transaction settlement system for global trade. Since many months have passed, let it be known that certain financial instruments will be required in trade settlement, which are to be backed by actual gold bullion in certain banks. Some formal gold notes will come into the picture. That is right, gold backed trade settlement, no longer in USDollars. Watch the crude oil market for hints. 20) Where do you think precious metals investors should obtain their gold and silver? Where best to store the precious metals? Honest sources like Gold Money in Jersey Isle off the English coast, also Gold Core with London and US offices. Also the Bullion Management Group in Toronto Canada. Many other reputable sources, but I am not an expert. My province is analysis more than gold sources. 21) Do you believe that China may back the Yuan with gold to replace and provide a death blow for the US dollar? Yes, the process has begun. The next step will be for the Yuan currency to be fully convertible. That means it will be convertible to British Pounds or Euros or Aussie Dollars or Japanese Yen or whatever currency. I expect when the global trade settlement system arrives, it will be atop the Chinese Yuan. Then the Yuan will gradually become gold-backed, all in time. 22) How would you describe the coordinated Chinese approach to removing the USDollar from its prestigious perch? Through global trade and its settlement, whose heart is crude oil. Watch for further developments and events in the crude oil market. The Iran sanctions have been a true disaster for the USGovt. It has caused a global coordinated response to circumvent the USDollar. In the void, the Chinese Yuan currency will enter. The Chinese have built the foundation for the Yuan to serve in global trade settlement by virtue of numerous bilateral currency swap agreements. These are essentially barter agreements, with their Yuan currency at the center. Think of the Yuan as providing numerous islands from which to connect later, as a new standard is built like a platform atop the islands. The platform will cover the entire globe, and isolate the United States. It will then fall into the Third World, but not be recognized for several months afterwards. 23) You have written in your forecasting that Germany may seek a Eurasian alliance with Russia and China to end the Petro-Dollar regime. Can you give us an update on your view on the currency crisis? Step by step, the connections from Germany to the East are being made. The nation of Germany is critical as the coordinator and center. See vast railways and energy pipelines from Germany. No further update really. The recent deal with China and Russia on oil delivery and payment is significant. They will not use the USDollar. The nation of Russia is the #2 oil producer worldwide. The Chinese bilateral swap facilities are expanding into the crude oil market, directly in conflict with the Petro-Dollar led by the Saudis. By the way, the Saudi regime is suddenly very unstable. 24) What can you say about the Iran sanctions and the reported threat that has been a mainstay in the world news? What is the real battle going on concerning Iran? The Iran story is almost a comedy. Iran is doing on a wider scale what Iraq did under Saddam Hussein. Iran is selling crude oil and natural gas outside the USDollar. So the desperate toothless USGovt claims Iran is a terrorist nation. If terrorism is searched for, start with the USDollar and its merchants. The Iran sanctions doubled the speed at which non-USD solutions are being pursued. They have resulted in numerous nations approaching China to be part of the next chapter and its trade based solution. The US has lost a great deal of credibility with the nonsensical stated Iran threat. The bigger threat is the USDollar. 25) Will the USDollar decline over a long stretch of time, or will something else occur in your opinion that results in its demise? Hard to tell. Right now, or at least over the last few months, all the major currencies are showing a stable exchange rate value. That is because all major central banks are debasing their currencies together. Call it Global QE, as the Jackass has been calling it for several months. Therefore the gold price is given upward pressure. Think of the major currencies circling the toilet. However, if certain events occur, the USDollar will suddenly be isolated. Like if the trade settlement system is put into place, the USDollar will not be required in global banking systems to settle trade. All major currencies would then fall in value suddenly. Conversely, the gold price will rise sharply since the new trade payment system will be in gold denomination for stability and security. 26) One popular comment made by you regards Morgan Stanley and its role in market manipulation. What is the current status on Morgan Stanley? And what is the additional risk for extending the timeframe? They are buying time. With a recent $48 billion deal with Citigroup, they not only gained more cash reserves and access to funds, they extended their reach to the millions of Citigroup private accounts. They are in talks to sell off a business unit, likely a good one that can fetch some money. They cannot sell dead business units. So they will weaken over time. They are buying time, but by exposing more private accounts to potential theft. The big dead banks are content in stripping citizens of wealth in order to continue their dominance. 27) What are your targets for Gold & Silver price for short term and long term? Short-term gold price like January 2013 of $1800-1850. Silver in that timeframe $38-40. Neither is aggressive, since the devices are unlimited to keep them down. Long-term like year 2016, gold at $5000 and silver at $200. All prices per ounce. 28) Some pro-USDollar analyst claim that since there is no real competition for the USDollar, its role as a reserve currency will stay for years. What do you think? I think that analyst is a moron, or else a paid system tool. 29) How much of the perceived USDollar strength is derived merely from the Euro currency weakening? Will the Euro survive the crisis in Europe? The rising USDollar is often on the back of the falling Euro currency. It is nothing but the theater of the Competing Currency War, a tragic comedy of sorts. The problems of Europe are very much identical in the United States. Both the Euro and USDollar will vanish together. The trade payment system will be the catalyst. 30) What would happen if Greece exited the Euro? What would happen if suddenly Spain was forced to leave the Euro? Both nations are propped so as to prevent the London banks to collapse. Actually, numerous big banks across all of Europe, including in Germany, would collapse. An exit by Greece would make for a sudden wrecking of the big creditor banks, which hold their debt and would suffer massive devaluations. An exit by Spain would be five times larger in its effect. Both nations must leave the Euro common currency union if they expect to recover. So must Italy, Portugal, Ireland, and France. The showcase is Greece, which is burning to the ground. They cannot devaluate their currency in order to begin recovery. The big bankers prevent the first step to recovery. In an ugly game, the big banks are saying that they wish for Greece to be destroyed, rather than their own big banks. One must die, so let the debtor die in a stranglehold with handcuffs firmly in place. 31) How will the major fiat paper currencies fare when a new more viable system is put in place? Will it be put in place? The major fiat paper currencies will suddenly be made less relevant except within their own local domestic economies. The major fiat currencies will be forced to bid up the currency for trade in order to receive delivery at ports. Namely, they must bid up gold and let their own paper currencies seek their proper value, much lower. The new system will come when the current system collapses further. China is helping the process along, with numerous bilateral swap deals and crude oil deals. The current system becomes weaker with each passing month. The recent QE3 decision for unlimited bond monetization should accelerate the process to put into place the new system. The current system is being declared a Weimar monster on the global stage, dependent directly upon toxic vats of acidic paper. 32) Finally could you tell us about your preferred asset classes in the current financial storm? How much you own of precious metals as a percentage of your portfolio? I recommend 95% silver, 5% gold, in physical bars or coins, but not mining stocks. Other preferable assets are farmland for those who have the skill and experience, and energy deposits for those also with experience. Do not focus on paper instruments with gold ore or energy backing, since the global financial crisis is centered on paper assets. Art works and collectibles will also be good, provided the price tags are not very high. 33) Do you still dislike the mining stocks as a group? Yes, I dislike mining stocks for 20 reasons. Higher costs, difficult deposits, heavy stock share dilution, shortage of engineer labor. Also, powerful hedge fund and Wall Street suppression like with the Goldman Sachs GDX fund. Also, significant new labor strikes and a new trend toward confiscation. My expectation is that one mining stock in 20 will rise significantly, maybe one in 10. Look for many mining stocks to be acquired by the major firms for pennies. 34) How do you prefer to describe the current financial crisis? Given that it has persisted for over 4 full years, it has gone beyond the description of crisis, correct? It is more a global monetary war to preserve the dominance of the USDollar and its merchants in positions of power. All paper assets are at great risk, since they are USD-dominated for value. The US bankers will possibly cause a world war in order to escape the responsibility for bond fraud and dollar counterfeit in legal prosecution. The US bankers will possibly cause a world war in order to preserve their power. Your personal ruin is a small price to pay to preserve their lifestyle of privilege and luxury without work, and to preserve their power base. 35) What is your view of the US elections coming in November? Romney should win, if a fair election. But the pieces are in place to rig the election and steal a victory for Obama. His masters in the US Intelligence agencies are in charge of the vote count. Their methods to create a fraudulent victory are better known this time around. 36) Any special items to look for when monitoring the elections? Look for vast discrepancies again between the Exit Polls and the precinct level final votes. In 2004 and 2008, discrepancies occurred in Florida and Ohio, evidence of vote rigging and vote count fraud. Look for Virginia to join the list of so-called swing states to be subjected to vote fraud. The clear signal is the mismatch between the Exit Polls and final precinct (district) votes. Historically the correlation between the two has been over 90%. In the last two elections they showed a negative correlation. 37) Is the integrity of the US presidential election much different from the tainted election of Chavez in Venezuela? Not very different in my view. The United States uses methods that are more hidden. The Chavez methods are more in full view. Thanks for this great opportunity, Jim. Oro habiéndose frenado en 1720, continúa corrigiendo.Bloomberg comenta que es por caída de bonos en España. Oro puede claramente seguir buscando piso mas firme en su MM200 ( 1660). Breves comentarios y pensamientos en voz alta. Japón debilitándose. La editorial del famoso Ambrose Pritchard hablando de devaluaciones japonesas por venir. Esto es inevitable. Pienso en voz alta: Oro en yenes a futuro y cuanto subirá. Metales han corregido pero la caída se detuvo. El oro alemán podría haber sido parte de swaps para la manipulación internacional. Vamos a continuar escribiendo al respecto. Próximamente, publicaremos nuevamente material exclusivo. Hoy ofrecemos la entrevista realizada a un inversor de prestigio internacional francés llamado Jean Marie Eveillard , realizada por Eric King. Este francés, fue nombrado "Administrador de Inversiones del Año" por Morningstar en el 2001. En el 2009, fue finalista en el concurso "Premio Administrador de Fondos de la década para acciones no-estadounidenses" en el 2009. Hoy , el legendario inversor Jean-Marie Eveillard comentó en King World acerca del pull back que estamos viendo en el mercado del oro. Eveillard, que controla inversiones por 60 mil millones de dólares, también brinda comentarios que surgieron de la FED hoy y como dan soporte al mercado del oro. Esto es lo que Eveillard dijo: “Si , hemos estado teniendo algunos días decepcionantes, pero el precio del oro venía subiendo antes que eso ocurra. Hasta ahora, solo hemos tenido una corrección menor. Se ha vuelto el oro demasiado popular cercano a 1800$? No lo creo. Tuviste a los fondos de cobertura en los últimos años ( en el oro) porque este venía subiendo. Pero lo que discutiría es que el oro no es demasiado popular porque si miro al mercado institucional , fondos de pensiones, fondos patrimoniales,etc. muy pocos de ellos tienen inversiones en lingotes de oro, y muy pocos de ellos tienen acciones mineras de oro. Por eso, no creo que al oro se lo pueda considerar popular. Algunas personas dicen :” pero el oro se ha movido de 250 dólares la onza a casi 1800 dólares. Está sobrevaluado”. El oro, para mi, es una verdadera divisa sustituta. Una divisa que no puede ser emitida. Una divisa que nada tiene que ver con el sistema monetario de papel que ha estado vigente hasta hoy por 40 años. Por eso oro es una divisa sustituta, y veo a la enorme cantidad de papel moneda que continúan emitiendo la FED y el ECB…mientras sigan emitiendo grandes cantidades de papel moneda, creo que el oro no puede estar sobrevaluado. Número uno: los estímulos pueden no haber tenido un impacto positivo. Numero dos: si lo tienen, y son lentos en reaccionar al hecho de que la economía se mejore, entonces lo que va a ocurrir es que fuerzas inflacionarias tengan lugar. Así que de cualquier forma, es bueno para el oro. (1) Sospecho que se refiere a lo comentado por varios que pisaron la zona de 1800 y 35-36 para plata usando posiciones apalancadas para prevenir una escapada como alertamos de manera urgente vía twitter el martes de la semana pasada. Desaceleración económica. Bancos centrales a copiar el "Bernanke style"? Tratando de monitorear eventos mundiales, seguimos las tendencias de búsquedas de Google a nivel internacional para saber que es lo que está mirando la gente y como piensa. Notorio es como se ha puesto de moda el tema musical "Gangnam Style", que en pocos meses fue visto mas de 407 millones de veces desde julio de este año. Ese nuevo estilo musical , acompañado del "pasito y el ritmo del momento" se ha impuesto a nivel global de manera contundente. El tema coreano, ha sido la moda del año. Vea el video aquí. Y mire si le interesa las "Google Trends" para saber que pasa en el mundo y que busca la gente. 3) En el día de hoy, China hizo una de sus mayores inyecciones diarias... ¿La búsqueda de liquidez puede significar el cruce definitivo del soporte de 2000 en la bolsa de Shanghai?. Las automotrices japonesas caen en sus ventas en China a la mitad. Caso Toyota, el más notorio. Mezcla de desaceleración, proteccionismo y nacionalismo entre los motivos. Hostilidades crecientes entre ambos países se cuenta como otra de las razones. 4) FMI recortando las perspectivas de crecimiento. 80% de probabilidades de recesión en la eurozona para el 2013. En definitiva, los banqueros del mundo van a tener que bailar al ritmo de un dólar que promete estar bajo presión con el QE3 y las "movidas geopolíticas actuales". China está realizando acuerdos bilaterales y atacando de FRENTE a la hegemonía del dólar. Esto es interesante ya que los medios occidentales hablan poco y nada del tema, o con bastante timidez. No les queda otra. Todos emitiendo , arriba del caballito de moda: emitir para frenar la desaceleración económica, sostener el crecimiento , proteccionismo encubierto, financiar déficits crecientes, o ponga aquí la razón que a usted le parezca conveniente para el programa actual de los banqueros. La administración brasileña ha sido la más categórica: guerra de divisas. Es que no tienen mucha chance. El mercado de derivados es 20 veces más grande que el producto bruto mundial. Es la madre de todas las burbujas. Es la gran burbuja de la humanidad. Está aquí, entre nosotros. "Microdetonaciones" de esta burbuja hacen que los banqueros tengan que emitir y emitir, porque no hay dinero suficiente para este juego. Se ve un desapalancamiento en real state en Europa y también llegan noticias de desapalancamiento de valores inmobiliarios en Asia. En Francia, el "pánico Hollande" ha creado fuga de capitales. Reino Unido, puede sufrir una baja de calificación. España con recetas de austeridad no se encuentra cómoda y no encuentra la solución. Apple, que ha sido claramente un gran refugio en el 2012, se desacopló de los rendimientos de los commodities y tuvo una voladura. Los retornos comparados contra DBA, un ETF de alimentos y oro han sido en lo que va del 2012, superiores al 40% si se lo compara con alimentos y oro. En definitiva , Apple tuvo una excelente performance pero ...¿podrá continuar el ritmo en un contexto de desaceleración?. Los gráficos AAPL:DBA y AAPL:$GOLD muestran agotamiento. Invitamos a los seguidores de AAPL a seguir estos gráficos para saber si estas ganancias pueden ser consolidadas más adelante. ¿Podrá seguir haciendo outperforming sobre el complejo de commodities? Escriba su opinión aquí abajo en los comentarios. Oro y plata siguen en niveles claves. Oro 1778 plata 34.21. Este año , repasando el archivo de este Blog, vimos que las recomendaciones de trading fueron exitosas . La gran suba de platino y los alimentos fue lo recomendado. Plata tuvo una gran recuperación desde los soportes en 26-27 y siguen consolidando con oro en niveles claves. Después de las elecciones de Estados Unidos, estimamos que podríamos ver mas acción en los metales preciosos. Sería negativo para la campaña de Obama un nuevo récord del oro en momentos pre electorales. El mismo dijo , secretamente a Medvedev , que después de las elecciones van a tener más "flexibilidad".¿ Se refería solo a algo armamentístico? Plata es comprada activamente por inversores , y sus niveles de tenencia está en máximos históricos . Los metales pueden retroceder, pero nuevos máximos vendrán de la mano del QE3, y las emisiones globales para frenar la desaceleración. Sobre la noticia de la bacteria, me ha pedido el lector Oscar que aclare el tema ya que que la bacteria no crea oro. Se habla de su precipitación en el artículo. También , entendiendo que se había interpretado la broma al cierre ("por las dudas, Long Plata"). Esto se debe a que entendemos que los fundamentos de la plata son mejores que el oro, como es unánime entre los seguidores de metales preciosos. En esta época en la que el valor del oro alcanzó su máximo histórico, investigadores de la Universidad de Michigan han descubierto una bacteria con capacidad de resistir una gran cantidad de toxicidad que le permite crear pepitas de 24 quilates de oro. Los modernos Midas son el profesor de microbiología y genética molecular Kazem Kashefi y el profesor asociado de arte electrónico Adam Brown. "Estamos haciendo 'alquimia microbiana' -la transformación a oro de algo sin valor-", explicó Kashefi, que junto a Brown se dieron cuenta de que las bacterias metallidurans Cupriadvidus son tolerantes a los metales, y pueden crecer en concentraciones masivas de cloruro de oro u oro líquido, un compuesto químico tóxico que se encuentra en la naturaleza. Mediante esta alquimia microbiana esa bacteria, que ha demostrado ser tremendamente resistente a la mencionada sustancia tóxica (hasta 25 veces más resistente de lo que se pensaba previamente) se la alimenta con el oro clorídrico y al cabo de una semana de "digestión" el "residuo" excretado resulta ser el preciado metal. Brown y Kashefi han alimentado las bacterias con cloruro de oro, imitando el proceso que ocurre en la naturaleza. En aproximadamente una semana las bacterias transforman las toxinas y producen una pepita de oro. Esta 'obra de arte' toma una serie imágenes realizadas por un microscopio electrónico de barrido. Utilizando las antiguas técnicas de iluminación de oro, Brown ha conseguido que cada impresión contenga parte del metal producido en el biorreactor. Creo que si aparece una bacteria que excremente plata , deberíamos buscar otros refugios. Veremos como va surgiendo mayor información científica de este nuevo amigo Cupriavidus metallidurans , "Cupria" a partir de ahora para los del círculo del oro, y el impacto que tiene en la REALIDAD. Oro 1790. Plata 35 el jueves por la mañana argentina. Luego del relajamiento cuantitativo estadounidense, los mercados entendieron que lo de "relajarse" es por lo menos hasta el 2015. En Blog Reymidas comentábamos que esto iba a perpetuarse para mantener bajo el pago de intereses de Estados Unidos y financiar sus déficits. 2) "el fiscal cliff" o precipicio fiscal. Estados Unidos va a fuertes aumentos de impuestos y recortes presupuestarios en el 2013. Esto es temido en Estados Unidos porque podría generar un derrumbe económico considerable si no se toman medidas que entrarían en vigor automáticamente el próximo año. El punto 4 , es el mas interesante. Los bancos centrales del mundo tienen que, en última instancia, recurrir a algo inevitable; financiar a sus estados insolventes. EL QE3 , al ser un programa abierto y sin "límite" le da a banqueros centrales de otros países luz verde para poder lanzar sus emisiones monetarias, bajo el paragüas político de la FED y argumentar "guerra de divisas". Es el caso de la dirigencia brasileña. Todo esto va a ir minando el liderazgo del dólar estadounidense. Seguimos en la currency crisis. Los próximos 12 meses serán claves para ver si ocurre el deterioro final del dólar estadounidense. Es claramente visible como la crisis se ha contagiado hacia el riesgo soberano y hacia la prevalencia misma del dólar. De no acelerarse las innovaciones financieras, el rol del dólar puede extenderse y la currency crisis también, sin resolución, pero con el dólar como moneda líder, por falta de competencia. 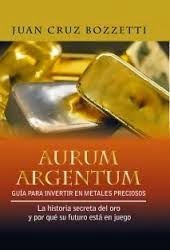 Mientras tanto , varios países están desarrollando con visión estratégica plataformas de trading , almacenamiento para atraer capitales y poder ofertar servicios financieros relacionados con el almacenamiento de oro y plata. Esto es una forma inteligente de prepararse para lo que se viene. Estoy hablando de países de Asia y sobre todo, de la ciudad de Londres. El ejemplo más reciente y el que me ha sorprendido es el caso de Singapur, que se ha puesto muy agresivo e incluso ha bajado impuestos para atraer inversores y fomentar la inversión en oro y plata en ese país. Por otro lado, en Argentina, se ha decidido directamente prohibir la compra de oro como divisa. Tampoco se puede atesorarlo. Recientemente el banco central también decidió suspender la venta de monedas de plata, y continúan eliminadas de la venta las monedas de oro que todavía se ofrecían a coleccionistas , inversores y turistas, según fuentes consultadas. Se encuentran entre lectores muchos que envían esta información y más al respecto. Son los que coleccionaban oro y plata .Están preocupados por los cambios regulatorios en materia cambiaria en Argentina. Sobre la cuestión de las nuevas restricciones cambiarias en Argentina, está en cada uno hacer su propio análisis. Pero sepan que los estados inteligentes se están preparando para lo que se viene. Y eso es un refugio de los capitales internacionales hacia los metales preciosos. La crisis internacional está presentado oportunidades y algunos países se están preparando. Lea la nota de Singapur aquí ( en inglés). Reservas Argentinas en Oro y Plata ya cuenta con mas de 240 miembros. Esperemos llegar a 300 . Puede agregarse en www.reservasargentinas.org . Contenidos exclusivos para miembros. El prestigioso economista mexicano de metales preciosos Guillermo Barba ha recomendado Blog Reymidas a sus miles de seguidores. Su canal twitter es https://twitter.com/memobarba. Blog Reymidas fue el primer medio en exponer la manipulación de los metales preciosos en el habla hispana. Mencionamos la manipulación del precio del oro y la manipulación del precio de la plata en plena crisis, allí en el año 2008, cuando estaban por el piso. Fue esa vez cuando empezamos a recomendar agresivamente invertir en ellos. También fue pionero en el habla hispana en entrevistar a Ted Butler, el analista estadounidense que fue el primero en descubrir y denunciar la manipulación del precio de la plata. El artículo fue de tal importancia histórica, que el prestigioso diario digital español de metales preciosos Oroyfinanzas.com accedió a publicarlo en su sitio. Ahora podemos comentarle con satisfacción que Blog Reymidas pronto entrevistará , nuevamente de manera pionera en el habla hispana, a otro analista de renombre internacional de metales preciosos. Una pista: tiene un PhD en Estadística y habla algo de español también. 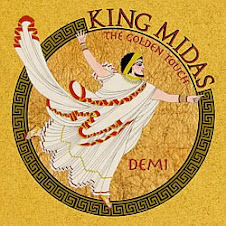 No se pierda las ediciones de Octubre de Blog Reymidas: la mejor información de metales preciosos desde 2008. Oro y plata siguen tratando de cruzar resistencias claves. Creemos que son "pisados" hasta las elecciones de Estados Unidos. Sería muy negativo para la campaña de Obama que los mercados den señales de "descontrol" antes de las elecciones. Oro sigue debajo de 1800$ , muy cerca de la resistencia clave. No puede permanecer suprimido para siempre.